GRINT Center for Education and Culture at Moscow University for the Humanities program seeks to involve students personally and actively with the Russian people and their language, history, art, and traditions. 1. 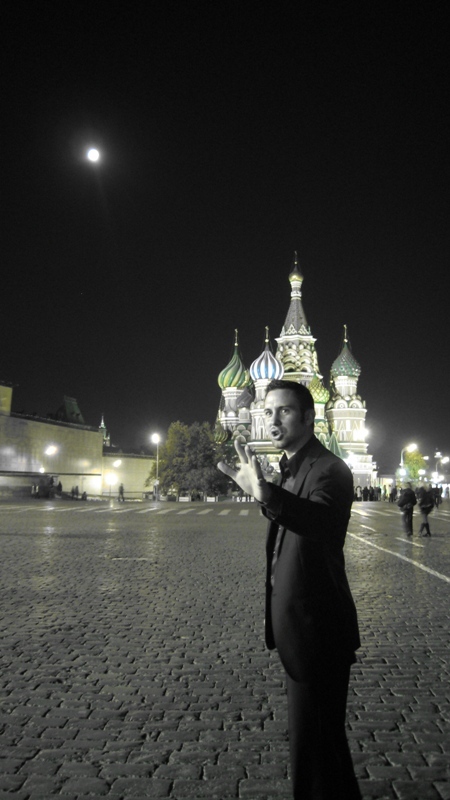 Intensive Russian language course, which is taught at all levels, in a small (4-6 persons) groups – 15-18 hours weekly. All of our classes are designed to meet ACTFL standards with our teaching methodology. Classes typically last from 10.00 a.m. to 2.00 p.m. Monday through Friday. Survey of Russian Cultural History in Excursions. 3. Internships (are open to students at any level of Russian, but some internships do have language requirements). Grint provides students the opportunity to take the optional TORFL exam – the State Examination on Russian Language for Foreigners - at the end of the course at no extra charge. In brief, this is a Russian style exam similar to the TOEFL. Previous students have found this to be a valuable thing to put on a resume. We agree, because it shows you your competency level and what it allows you to do in Russia! 5. Culture and Social Activity. We take students outside of Moscow to see other parts of Russia. During the Fall semester, we take students to visit Saint Petersburg, Russia’s most European city. During the Spring semester, a mid-term 4 to 5 day tour will be taken to the city of Kazan, an often overlooked city by tourists with a very important history. - A five-day excursion to St. Petersburg or Kazan in the middle of the semester is included in the program. Of course, not everything about Russia can be learned by simply sitting in class. 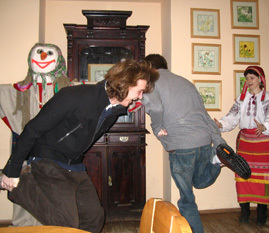 That’s why each week we offer cultural events which give our students a way to experience Russia on a first hand basis. Each week, we take our students to two cultural events ranging from concerts, theaters, operas, ballets, the Moscow Circus and sporting events once on a weekday and the other on the weekend. These events are all included at no extra cost for our students. - or in an apartment at one of our homestays. Russia has a lot to offer as far as food goes. Enjoy some of the best soups in the world along with other tasty dishes. Homestay students are offered breakfast 7 days a week while both breakfast and lunch are provided for our dormitory students at our campus cafeteria. Don’t like the mass re-heated cafeteria food at your university back home? No problem! Each day, food is freshly prepared and cooked by our cafeteria staff. Enjoy homemade style cooking the Russian way! Homestay students can also take at vantage of the on-campus university out of pocket at very reasonable prices. Instructional costs abroad, fees, room and board, trip to St. Petersburg, cultural excursions, visa and insurance.